WIN £100 to spoil your Mum this Mother's Day. To enter the competition, simply visit our Facebook page and comment on the competition post with why your mum is so special to you. OR visit our Twitter page and let us know why your mum is so special by tagging @ourburysteds in your post. *The voucher must spent with an Our Bury St Edmunds member. All businesses are listed throughout our website. 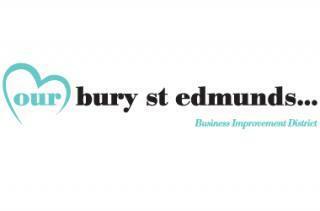 - Voucher must be spent with businesses that are members of the Bury St Edmunds Business Improvement District, Our Bury St Edmunds. - Our Bury St Edmunds reserves the right to replace the prize with an alternative product or colour of equal or higher value if necessary at the promoters' discretion. - Prize draws and competitions are only open to UK residents aged 16 years or over. - Winner(s) will be selected at random by an independent judge from all entries received. - The judge's decision is final and no correspondence will be entered into. - Winner(s) will be notified by social media DM, email or telephone (using the details provided at entry). - Following such notification, the winner will be required to send the Promoter full details of their postal address to which the Prize will be delivered (if applicable). - If the Promoter cannot: (i) contact the winner (via the details provided at the date of entry) within a reasonable period of time (to be established at the Promoter's sole discretion); or (ii) the winner does not return details of its postal address to the Promoter within 2 days of notification that they have won the Prize, the Promoter reserves the right to re-draw a winner of the Promotion and thereafter until a winner on these terms is found. - Please allow 5 days for delivery of the Prize. - The Promoter accepts no responsibility for the Prize being lost, damaged or delayed in the post.